Going into my third and final year of my degree is a daunting thought. Now I’m studying Fashion Journalism so I know it’s not as taxing as perhaps studying medicine or criminal psychology would be, however it does come with certain stresses. I still have no idea what kind of job I wish to have at the end of it – or if I’ll even go into paid employment at the end, I might have to intern for free until something paid comes up. There are no guarantees. But before the employment (or unemployment) prospect comes to light, I wrote down a few tips for myself on dealing with the stresses that come along with my final year at university and I thought I’d share them here for anyone else who is a stress head like me. Keep a countdown app on your phone. Might seem strange to countdown the days until you are no longer reliant upon education, however it makes me feel good in the knowledge that I don’t have long left until I can be free and my life is finally mine. Make a conscious effort to stay on top of the workload. Every time I go back after a break I make a point of aiming to be better at keeping on top of work and not leaving it to the last minute, but I always procrastinate and it just ends up piling up. I’ve never handed anything in late and it’s always done to the best of my ability, but I always wish that I’d just done it EARLIER to save from panic-writing towards the end of a deadline. This year I’m making a real conscious effort to do work within a decent time frame. WORK DONE = LESS STRESS. Not exactly a fun topic, or one that I’m enjoying typing out now, but saving money really does save stress. With everyone around my making plans for this holiday, that day out, or even that lunch; all I’m thinking about is my dwindling bank account and increased sense of FOMO. Budget, budget, budget and selling unwanted crap on eBay has become my best friend over the summer and I’ve even got money in SAVINGS. Who knew I could be so proactive? Every person you meet, every email you send, every Instagram comment – treat them as contacts. Get talking to people on Twitter, you don’t know who they know who could possibly set you up with someone who has a friend who needs an assistant. And that could be you. And if you don’t get a job, or at least an opportunity, then at leafs you made another friend, right? Starting my third year isn’t exactly filling me with joy, however I can try and make the best it possibly can be. I may moan to my friends and family, but at the end of it, I’ll have a degree. A DEGREE! And that’s something I never thought would happen for me. And if i can make that happen, then I can make this year a decent one. 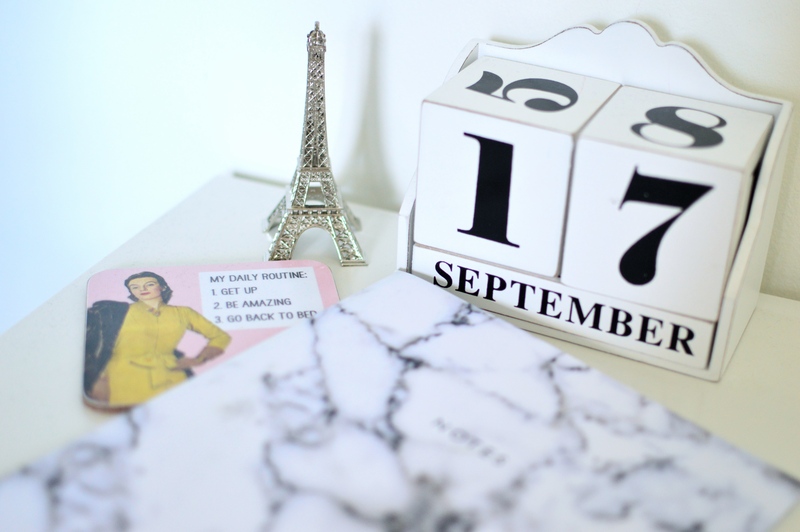 This entry was tagged 2015, bblogger, fashion journalism, fblogger, third year, university. Bookmark the permalink.